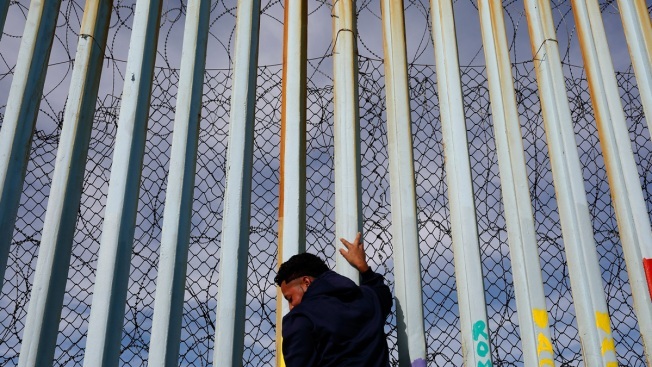 The GoFundMe fundraiser that promised to help privately fund President Donald Trump's plan for a wall spanning the length of the U.S.-Mexico border surpassed $20 million dollars in donations this week. But the man behind it — Brian Kolfage, a rising conservative media star — may have had another goal. Through his border-wall campaign, he claims to have gathered 3.5 million email addresses, which are essential to his broader operation — a wide-ranging and multipronged effort to collect a list of Trump supporters who have proven to be sources of donations for conservative efforts, former employees told NBC News. According to former employees and public records including website archives, Nevada business registrations and property records, Kolfage has repeatedly created GoFundMe campaigns and published inflammatory fake news articles, pushing them both from websites that he sought to hide behind shell companies and false identities, in part to harvest email addresses. Those addresses were then used to push people back to Kolfage’s websites, to sell a brand of coffee he owns, or to be stockpiled for future use by conservative campaigns. Kolfage, a triple-amputee Air Force veteran, had mostly worked behind the scenes of this operation until the viral GoFundMe campaign made national headlines. Six days after the campaign was launched, it was edited to include a new call: "AFTER DONATING, SIGN OUR PETITION WE NEED 100 million signatures.” The text repeats four times at the top of the page before any description about the fundraiser itself. A spokesperson for GoFundMe told NBC News that all donors would be refunded because Kolfage had changed the language midcampaign, erasing an earlier pledge to “refund every single penny” if the goal of $1 billion was not met. Those donors will also be offered a way to refuse the refund and instead have it routed to a new charity set up by Kolfage, the spokesperson said.